You may be asking yourself, "What careers are available for philosophy majors?" Since most people are unfamiliar with the background and training of philosophers, many students are also unsure of the types of jobs they can pursue with a philosophy degree - and mistakenly, might pass up the option to choose this path. The reality is, though, there are many career options in a variety of distinct industries for philosophy majors. Depending on the career you pursue, there are two major educational routes: PhD for those looking to be a professional philosopher and Bachelor Degree for those looking at alternative career paths. International students, though, should not assume that the only option is with a PhD, in many cases a bachelor's degree in philosophy is all you need and offers more career flexibility. A PhD in philosophy is largely useful if you plan on becoming a philosophy professor. There are very few careers outside of teaching that require a philosophy PhD. Instead, a bachelor's degree is appealing to most employers. Students with a degree in philosophy tend to excel in their career because they are highly trained in critical thinking, persuasive writing, argument analysis, logic, argumentation, and effective communication. When a student studies philosophy he or she is not learning to think critically about a specific subject—he or she is focused on how to think critically on a variety of different topics. For this reason, many employers seek philosophy majors. Law schools seek students with training in philosophy since they are looking for students with training in rigorous thought, argumentation, and logic. Although most students think that political science is the best avenue for pursuing a career in law, an excellent option for potential law students is philosophy. Philosophy students earn the third highest scores on the LSAT only under majors in mathematics and economics. And philosophy majors often find the program a natural extension of their undergraduate degree. Law schools are looking for students who are analytically adept and able to argue numerous points of view both in prose and in conversation, as a result philosophy majors who work hard often excel in law school. Similarly, businesses are often very receptive to philosophy majors because of their rigorous mental training and problem solving capabilities. There are also numerous careers in management and sales in which philosophy majors will find themselves welcome. Lawrence R. Malnig and Anita Malnig write, "Business leaders most frequently cite the ability to learn in new situations and the capacity to analyze, evaluate, and interpret data information management as two of the most important qualities that successful executives must possess." Analysis, evaluation, and interpretation of information are the foremost skill set utilized by philosophy majors. Although most students associate philosophy with argumentation and paper writing, it is through those means that analysis, evaluation, and interpretation occur. Of course, students seeking careers in business would do well to add a dual major in business, marketing, or mathematics to their degree, but analysis of complex situations and logical deduction are skills that philosophy majors hone to mastery. International students who study philosophy and hope to work in the U.S. will also find more careers for philosophy majors as viable options because of the heavy emphasis in writing and communication. Options range from online information sites to editorials in newspapers. Although, clearly, careers in journalism and writing are often most open to students with degrees specializing in those fields, many employers are looking for additional perspectives and ways of thinking from their contributors. A philosophy degree provides a tremendous focus on both investigation and composition. Note that a philosophy degree does not focus on creative writing. So although some students with a talent in creative writing find the constant writing, editing, and evaluation of prose in a philosophy program useful, one should not expect to exit a philosophy program prepared to be a writer of fiction. Careers that require writers who can analyze, interpret and report important information, however, are often available to philosophy majors. Public policy making is often a career field appealing to philosophy majors. Development and implementation of policy requires strong analytical and critical thinking skills. Although the ability to analyze numerical data sets is very useful in for policy makers, the qualitative understanding and implementation of the policies suggested by those data sets requires a strong background in problem analysis—which is exactly what philosophy majors are required to do through their coursework. Policy-making may range from numerous governmental careers in public policymaking (notably politics), ethics boards for hospitals, institutional review boards for universities, and administrative positions in schools. Not only is this general field one in which philosophy majors can excel, but many philosophy majors find themselves called to policy making because they have found that their training enables them to make a significant impact on their social institutions. International students who wish to pursue philosophy, itself, as a career will find that their best avenue is a PhD. Most professional philosophers work at universities as researchers, writers, and teachers. This can be a very rewarding career intellectually. While available positions are limited, it is essential that any student pursuing a PhD in philosophy makes him or herself as appealing as possible by participating in conventions, authoring papers for publication, and by being an active participant in the world of philosophy. 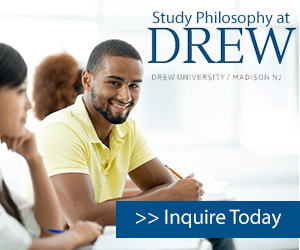 It is important to note that any student, international or otherwise, who is looking into careers for philosophy majors as a university teacher must obtain a graduate degree. And, to be a viable candidate for a university position it is imperative that the degree be a PhD. Very few schools employ philosophers who have only a M.A. in philosophy, and none will hire an applicant with only a bachelor degree. Note that in order to gain admission into a PhD program one does not have to have a bachelor degree in philosophy, though it is often preferable. To sum up, students who wish to increase their potential success in another career, other than philosophy, should consider a bachelor degree in philosophy, as it may open many doors. Philosophy is an especially effective double major. A student, for example, with a dual major in political science and philosophy, or a philosophy minor, will find him or herself an especially viable candidate for law school. When considering careers in philosophy, make sure to remember that a PhD is primarily, and necessary, for students who want to be professional philosophers on the university. A bachelor's though, is an excellent choice for an undergraduate student who wants to increase his or her chances of success in her or her own chosen field.